Many teachers have asked us to put the resources we have used during professional development sessions, here on our website. What follows is a list of ideas teachers have enjoyed using in the classroom with links to digital copies so you can alter them to fit your students’ needs. We will be adding to this post so check back often! If you’ve got ideas you are willing to share, please do! We will give you a shout out and post your file here! 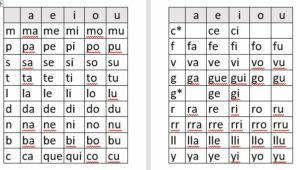 Syllables chart can be used as a writing tool to help students identify the graphemes that correlate to the sounds they make when writing their story. 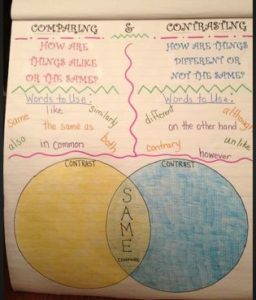 Features graphic organizer can be used instead of the Venn Diagram. It provides young writers with more space for writing (how is anyone supposed to fit words in the center of the Venn?!) and it enforces academic language in the center column by stating the feature that is being contrasted. Don’t forget a fun anchor chart. Younger learners could simple discuss two characters from different stories. 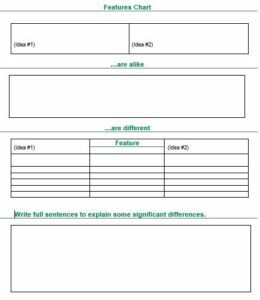 Within the center column, teacher could write “Actions” and “Feelings” and ask students for their input to fill in the side columns. 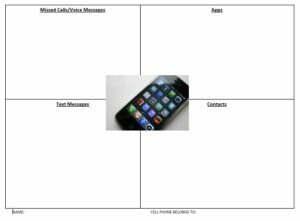 Cell Phone Graphic Organizer is a fun way to engage students and make them think about perspective and voice. Students imagine they have found the cell phone of a character from a story or a historical figure (stretch the brain, if cell phones existed in their times!). They need to work in teams to decide who this person might have received calls from, what messages might be left for them, what apps they would have loaded in the phone and and text messages that person may have sent. Fun! Super Sleuth is a way to see how much your students know about a topic before you begin a unit “Find someone who can tell you a way we recycle.” or a way to review the topic once you are done with your studies “Find someone who can tell you one important event in Martin Luther King Jr.’s life.”. It can also be used as a getting to know you activity. 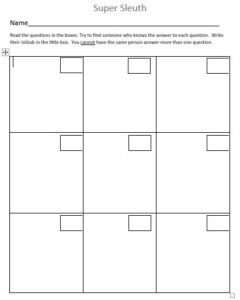 “Find someone who has one brother.” With these digital copies, you can enter in your own questions but you can also limit the number of boxes you provide your students. You can insert images for younger learners who need to identify shapes. You can insert clock images for a review on telling time. 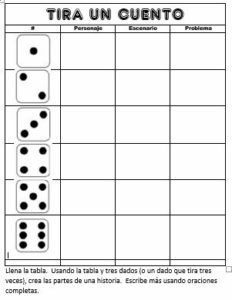 You can also hit the fast forward button on this activity by ending it once someone has a tic tac toe formation on their sheet. The rest of the questions could be assigned as homework. Semantic gradients are my favorite way to show students how to use WOW words and engage them in conversations of shades of meaning that various words hold! Look at the Spanish sample below, which word means “the MOST broken”? Do you use other words for broken? The READ book contains antonyms and synonyms lessons. You can use these vocabulary words while creating this type of activity. 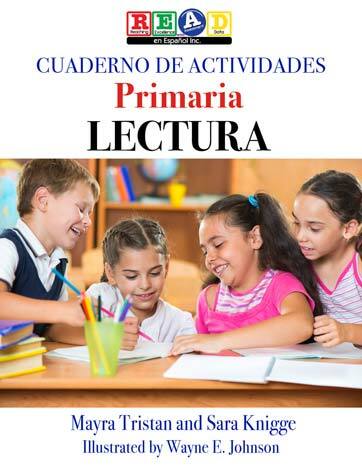 Here is a link to my presentation delivered at the 41st Annual Statewide Conference for Teachers Serving Linguistically and Culturally Diverse Students held each year in Oak Brook, IL.. You will find grouping strategies, ways to increase oracy using our READ book, Ideas surrounding Socratic Seminar, and links to helpful sites containing CCSS in Spanish! 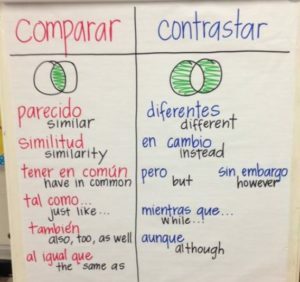 Here is a T-chart you can help students create (in Spanish and/or English) about what a good conversation looks and sounds like!